Early historical works portrayed women, especially those of African descent, in a sexist and racist manner. Women in Caribbean History embodies the progress of research on Caribbean women. It reveals new historical information on Caribbean women and provides detail on their economic, social, and political roles and activities. This book explains how the use of gender analysis can shape our understanding of Caribbean history. 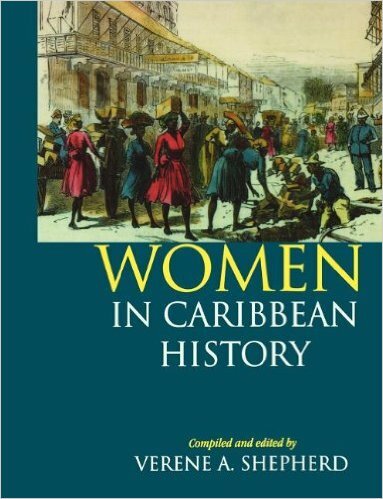 This introductory reader provides students and the general reader with an accessible overview of the lives of Caribbean women of diverse ethnic origins. Even though this research focuses on enslaved black women, it also describes indigenous European, Chinese and Indian women who lived in the English-speaking Caribbean. The work represents the desire of the Social History Project of the Department of History of the University of the West Indies and Oxfam to link pre-emancipation and post-slavery history, endeavoring to go beyond the Jamaican experience. Verene Shepherd is Professor at and President of the University of the West Indies.